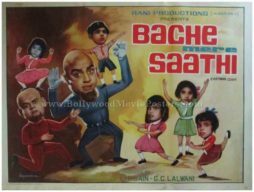 Old school Bollywood poster for sale of the Hindi film Bache Mere Saathi (1972). 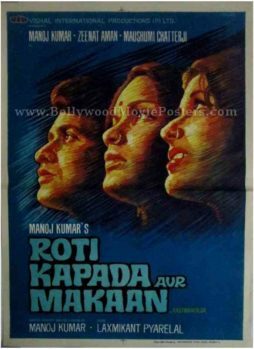 This is an actual surviving old school Bollywood poster of the 1972 movie that was dubbed in Hindi and released under the banner of Rani Productions Madras. 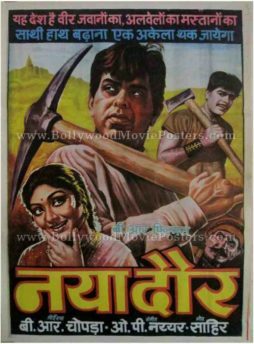 Very few old Bollywood posters were designed in landscape/horizontal format, making this rare old school Bollywood poster, highly collectible! 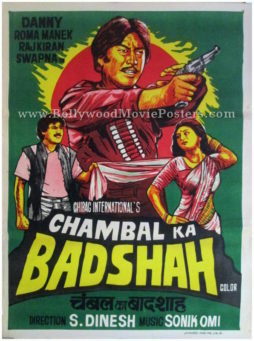 Printed and circulated during the first release of the film (somewhere in the early 1970s), this old school Bollywood poster was originally designed for publicity of the film but never ended up being used. 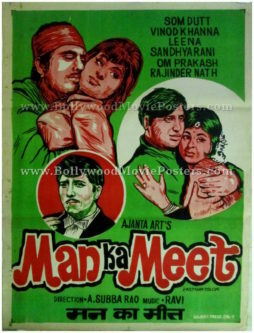 This vintage Bollywood poster was originally designed in hand painted oil on canvas format by old school Bollywood poster artist Jayaraman. 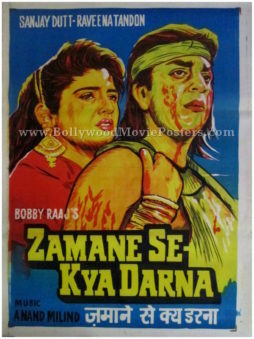 His printed signature is seen on the bottom left of the poster. 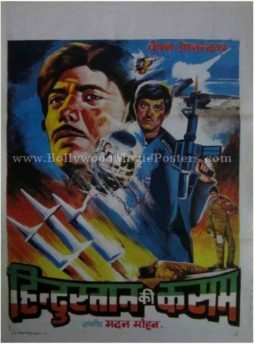 This old Bollywood poster features a fascinating animated design. Two bald men sporting goatees along with five children are seen prominently in the poster. 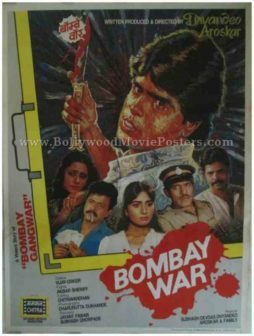 Their heads appear abnormally larger in comparison to their bodies, giving this old school Bollywood poster a very animated feel.